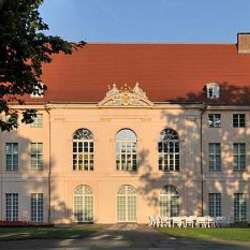 Once a summer residence for the Hohenzollern, this 18th century castle was used by the Nazi's to store stolen art, it was state residence for the DDR until Protected content then was used a guest house for state guests such as Breshnew, Castro and Gorbatchov. For a large part it still retains its original 17th/18th century decoration and furniture. We will meet at 13.45 and then join a guided tour at 14.00 of the building (guided tours leave every hour). It is not possible to visit the building without guided tour. Afterwards, we will meet for coffee.